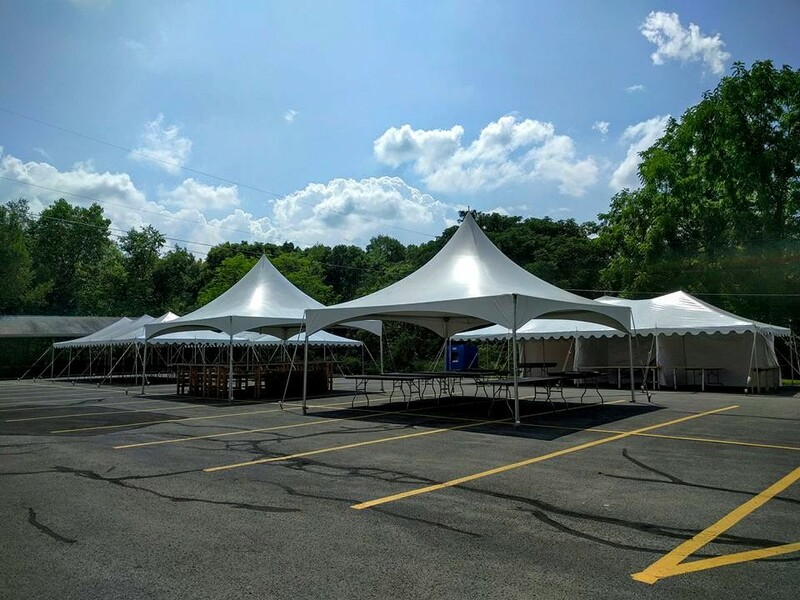 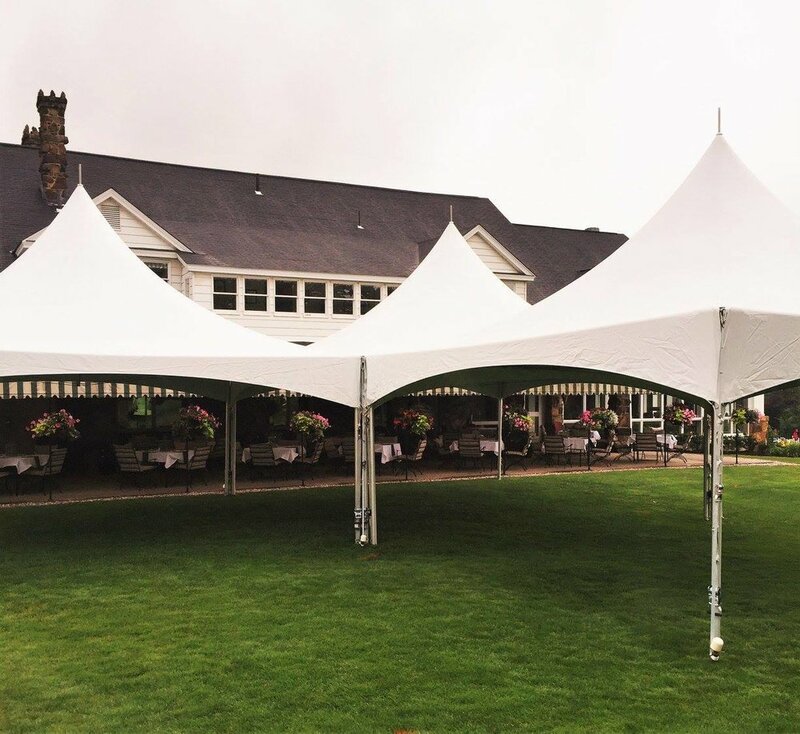 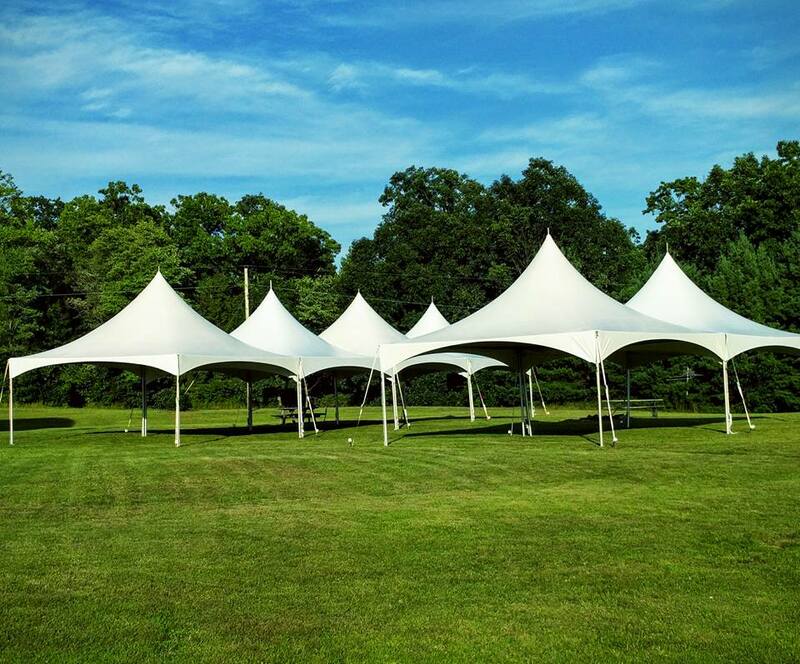 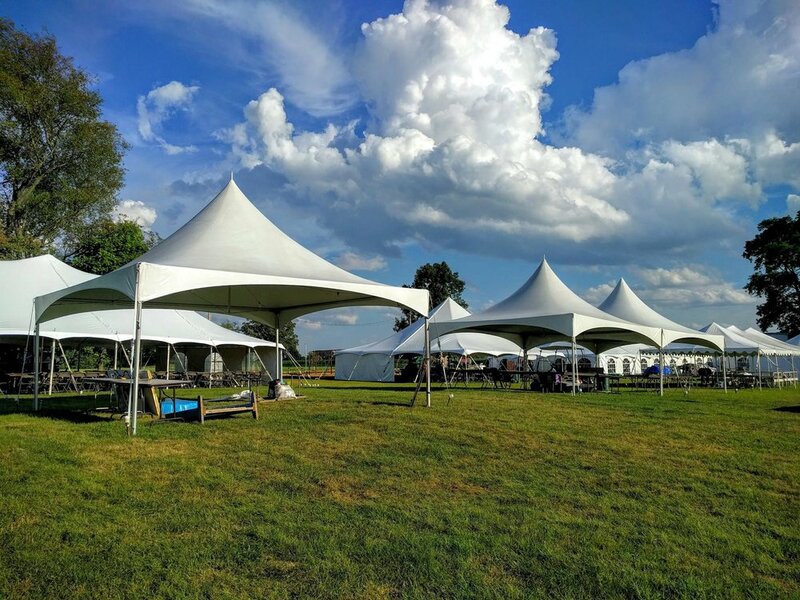 Our High Peak Frame Tents have a sleek, modern design and come in various sizes and configurations to suit your needs. 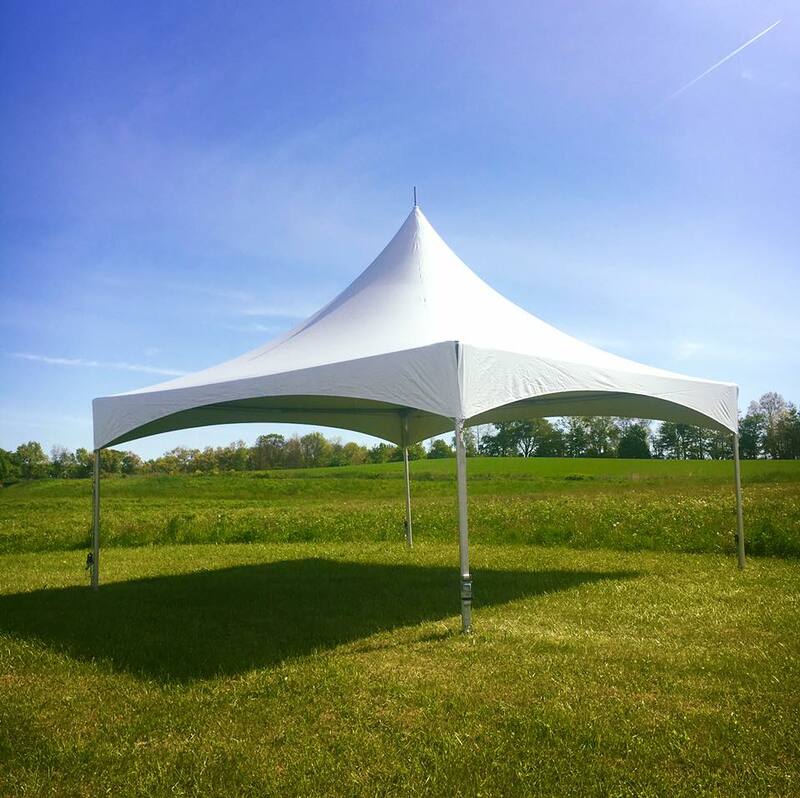 They have no center poles and can be secured using water barrels if staking is not an option. 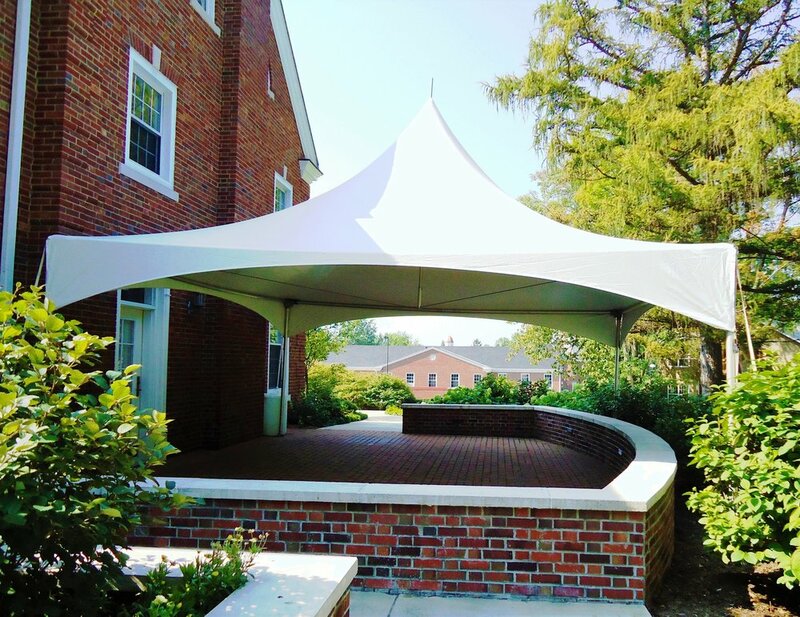 Great for any location!